One of my cartooning heroes, Darwyn Cooke, passed away this weekend from cancer. 1. Darwyn and I were nominated against one another for "Best Cartoonist" at the 2008 Shuster Awards for Canadian cartooning. I ended up winning the award that night and on my way back to my seat, Darwyn cut me off and grabbed my hand, congratulating me in such a heartfelt and genuine way that I was incredibly moved. I mean, who is kidding who, I had no business even being nominated for a cartooning award against a master like Darwyn, let alone winning. Yet the look in his eyes that night as he shook my hand made me feel worthy and meant as much to me as the award itself. 2. 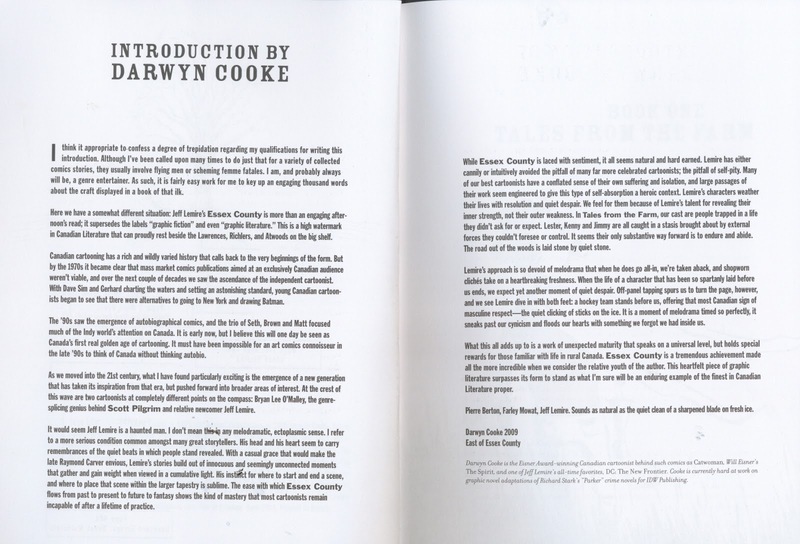 When Essex County was collected into one volume I emailed Darwyn and asked if he would write the introduction. When he agreed I was over the moon and when I read what he wrote, I was so honoured and moved. 3. At Fan Expo in 2013 Darwyn pulled me aside and asked if I'd take a walk outside of the convention centre with him because he wanted to "talk to me about something". I was curious of course, but I was also worried. I knew that Darwyn had a temper, and I worried that I'd done or said something to piss him off. But when we got outside and found a spot to sit on the steps near the Rogers Centre I was stunned when Darwyn told me that he wanted me to write something for him to draw. He had just read Underwater Welder and said he wanted me to write something like that for him to draw. I was stunned, flattered and, again, moved. I never got a chance to work with him. I became so busy it was always one of those things I thought I would follow up with him about one day down the road, and now he's gone. 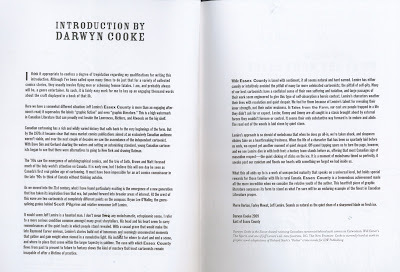 While I never got to know Darwyn on a deeply personal level, he still made a huge impact on me and these are memories that I will always cherish. 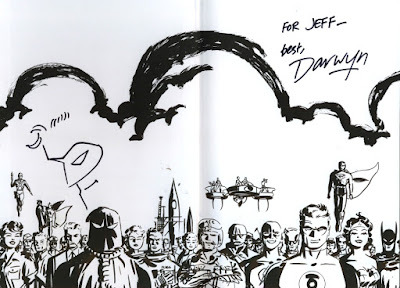 Darwyn was one of the greatest cartoonists alive, and he not only accepted me into the clubhouse, he made me feel like I belonged. I'll never forget his kindness and his talent. Rest in peace, Darwyn. And thank you.